The founder studies and lives in China and works in traditional industries invested by European and American organizations. He holds bachelor degree in Engineering and Master of Business Administration from university certified by AMBA , and explores in the areas of Asian Supplier Management for top Architectural Hardware and Furniture Hardware Companies for 10+ years to drive Supplier Development and Supplier Excellence Journey. In the area of Quality Management, the Quality Masters have explored, researched and practiced for a long time, and along the flattering of world, China has learnt a lot of advanced experience, meanwhile there are also some big and sounding organizations created. However, in some traditional manufacturing sectors where purchasing cost accounts for near 70% of total product cost, the supplier management is at very low level. 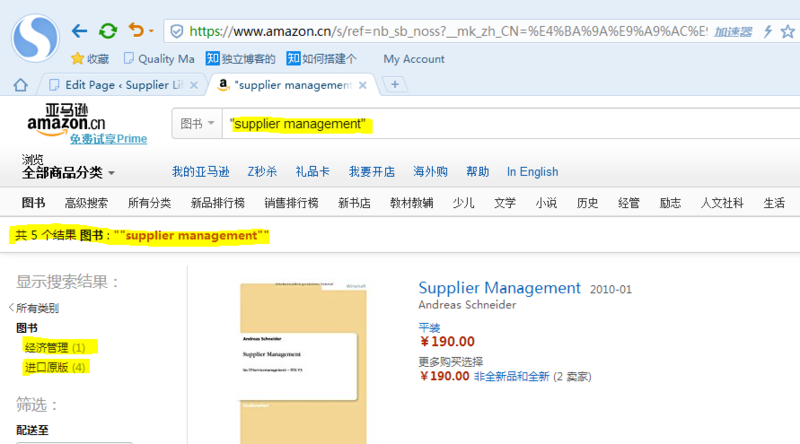 From a global view, if we search "Supplier Management" from Amazon.cn, there are only 5 books, and 4 are written in English. ASQ (American Society for Quality) has published the books "The Supplier Management Handbook, six edition" and "The Certified Supplier Quality Professional Handbook", but there are only English versions as well. Furthermore, the book is a combination of multiple thoughts, and very probably those readers limit in the companies invested by foreign investors, and for many practitioners those books only provide "pieces" of methods and tools, but not systemic and structured "cradle to grave" practice. 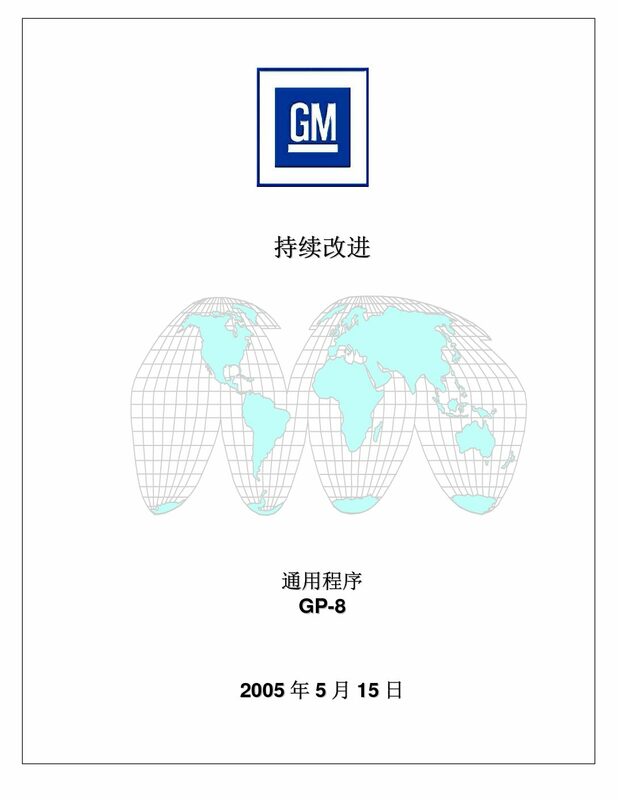 The automotive and electronics industries from Europe, America and Japan promote the development of Supplier Management, and especially when these industries initiated "Localization" programs to China since 2000. They advanced the management level of suppliers but influence is limited because many small organizations are "scared" of the rigid requirements and tier X sub-contracting appears due to either affect of "specialization" or "countermeasures to policy". "Standard" requirements of automotive are "adapted" by non-automotive industries to fit their actual situation. The founder witnesses those transform since 2000 and continues the exploring, re-thinking in the Supplier Management field, and most Chinese books and papers still have gap with the ones from advanced economies. WWW is an unimaginable space, and just after the founder registered a domain, applied a web hosting, and built a framework of the site, the hits already passed 1,000. The founder was shocked and inspired. Looking inside myself, like most students studying engineering, the founder is not good at writing articles, and what the founder believes is writing by heart will get your mercy – either we have different standing points or you are offended with no intention, especially when it's expressed in English. Some of the founder's past colleagues now are Senior Managers, and are invited for giving lectures in campus, and some are experts in certain field, providing consulting and training service globally with strong influence over LINKEDIN, and some others write book and gift to the founder. All of them make me envy. The founder writes procedures, initiatives, presentation materials when he drives the development of supplier management, and it's noticed there are already 300 A4 pages in one day. There is an idea come to the founder's mind – Why not re-organize and publish those words, and at least if 500 suppliers and 40 subsidiaries can benefit from them then the founder would be very proud of it. After all printing into booklets are not easy for distribution and communication. There are many peers working in the same field, same to the quality related forums on WWW, but when we click many hot ones built 10 years ago now are closed. "Every year flowers look the same as time flies, but it's not true that people do". 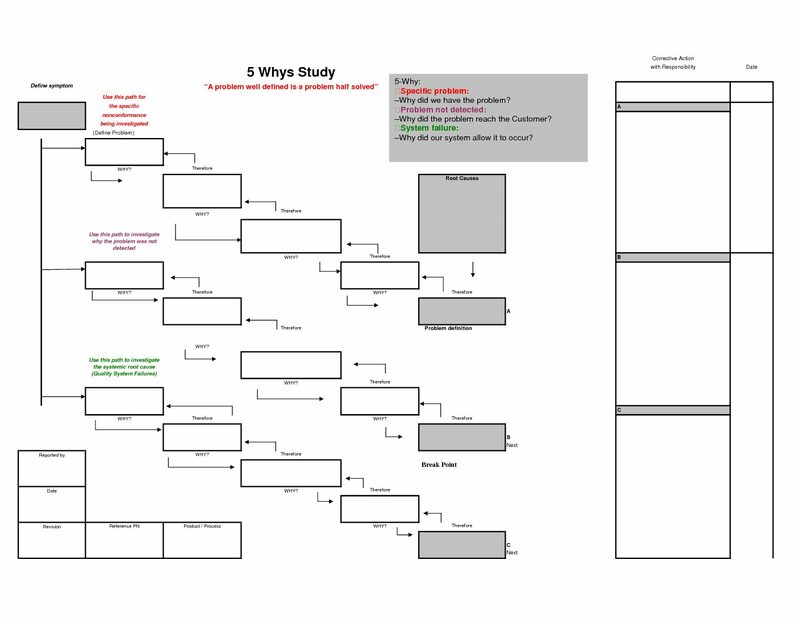 Occasionally when the founder follows one topic thread, he still can find some new comers asking the same questions which were raised many years ago, and one reason is that there is no centralized platform to focus on such small topics and make it thorough to readers, and just like WIKI in this area. So the founder hopes to work with you to focus on the subject and share with readers. Malcolm T.Gladwell defines 10,000 hours rule in his book 《Outliers》, where it's mentioned if one person pursues in a subject for 10,000 hours then it's very probably he/she will become an "expert" in the subject. It sounds right as it's a qualitative change based on increased quantity. Babies can speak fluently after years of "Yiya", and students can be the "expert" of "+-X/" after 6 years in elementary school, and middle school students can be "expert" of basic geometry after 6 years, and postgraduates can be the "expert" of modeling after 7 years in university. The founder does not dream to be an "expert" by writing but to be taken as "professional" is enough for him. The founder has traveled to 600+ companies and suppliers in Europe, America, East south region due to the needs of work. This enables the founder to benchmark the management level in different economies and identify the development opportunities. There are many peers grinding themselves to be more professional in Supplier Management and the founder believes many of them are from overseas. If possible the founder will try his best to write bilingually so that we can receive more voices and share with more readers after “refining".The site also welcomes the good ideas from all of you, who are interested in this subject. The founder starts and operates the website from green field and which matches the value in his MBA – Learning by Doing.